Spring is FINALLY almost here, which means it's time to stock up on cooler clothes, vacation accessories, and brighter colors! We have so many new arrivals your spring wardrobe needs! Check them out below! This best seller will be your favorite this season! Wear it as a kimono or as a beach cover-up - either way, it'll add some fun style to your wardrobe! This tank is the perfect mix of softness and attitude! Available in 5 fun colors, you'll be able to pick one that best represents your personality! Adorable, convenient, and MONOGRAMMED! What more could a girl want?! These chair covers will make trips to the pool or the beach so much easier! This summer's favorite pattern in the cutest clutch! Available in black and white, these trendy clutches are so colorful and will make such a statement! You'll be living colorfully in this beautiful geometric print tote! Great for storing your spring essentials or taking to the beach for a day! This dress is SO flattering! With vertical stripes and delicate bell sleeves, this dress is great for date night or girls night! So unique and so stylish - these peplum tops come in white and black and can be dressed up or dressed down. So comfy, you'll want to wear it everyday! Beach days will not be complete without these round towels! Available in 2 super fun prints, these towels have a fun fringe all the way around and they're so soft! Spring's favorite cardigan is here! These lightweight cardigans are comfortable and perfect for chilly spring days! They come in blush, stone, and navy! 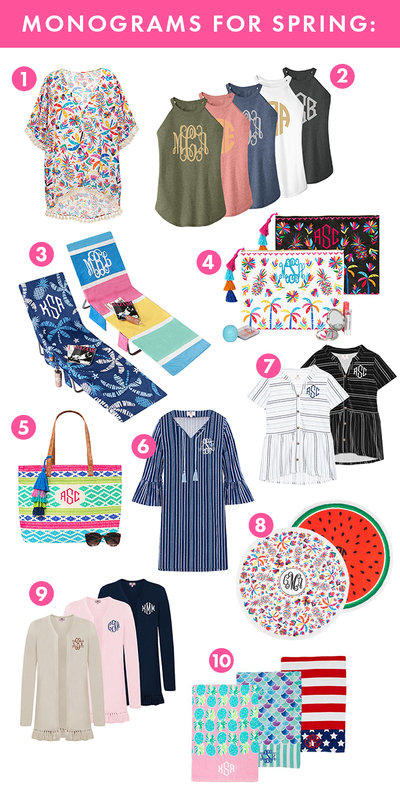 Personalized Beach Towels are the best way to add personality to your days in the sun! Featuring an assortment of brightly colored solids and patterns, these towels are made of an extra soft fabric, an absorbent yet comfy material to lay on. 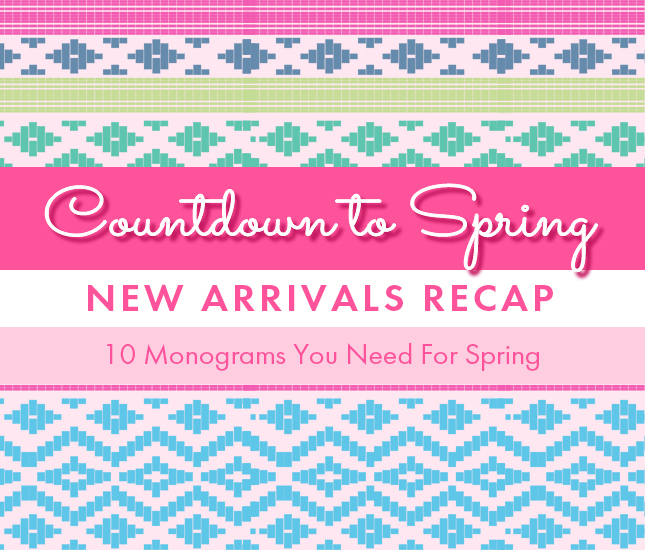 Which of these new spring arrivals is your fave?! Comment below!